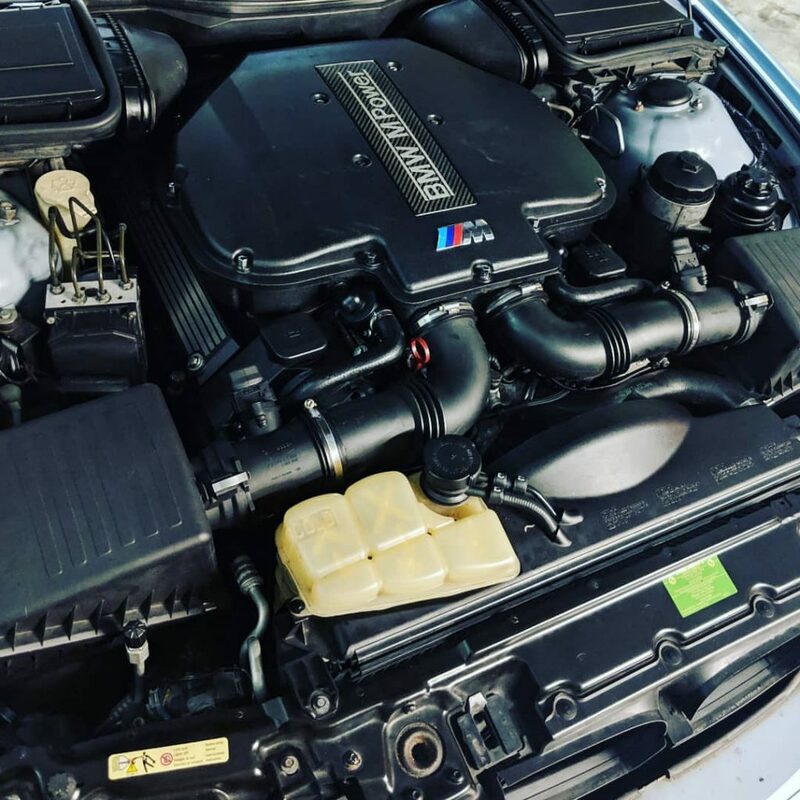 Though M cars are commonplace at Hack Engineering HQ, it’s not so often that we see an E39 M5. 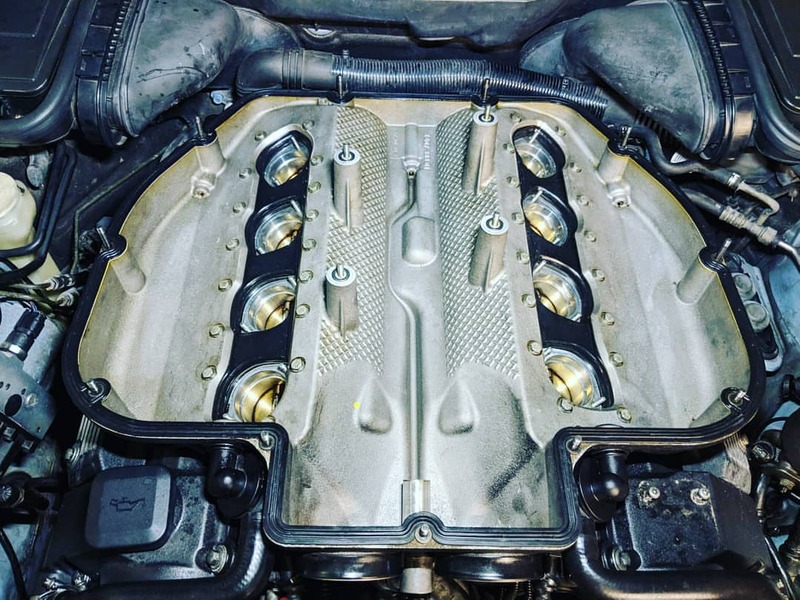 With values climbing and these cars getting higher in mileage, it’s no surprise that Vanos issues are being seen by us more and more. 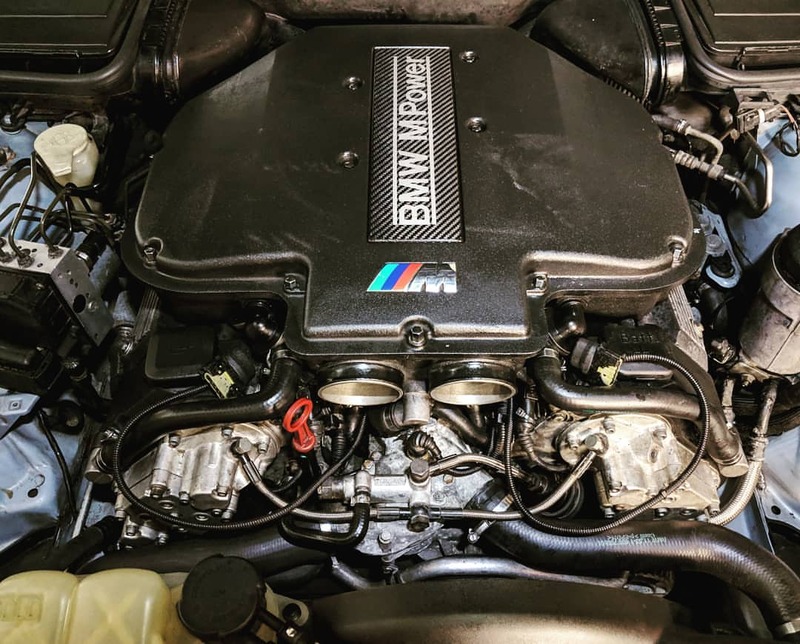 For earlier M5s (pre-2002) the diapragm springs are of a thinner specification, and can be updated to the later type as part of the rattle repair procedure. This involves removing the upper timing covers for access. 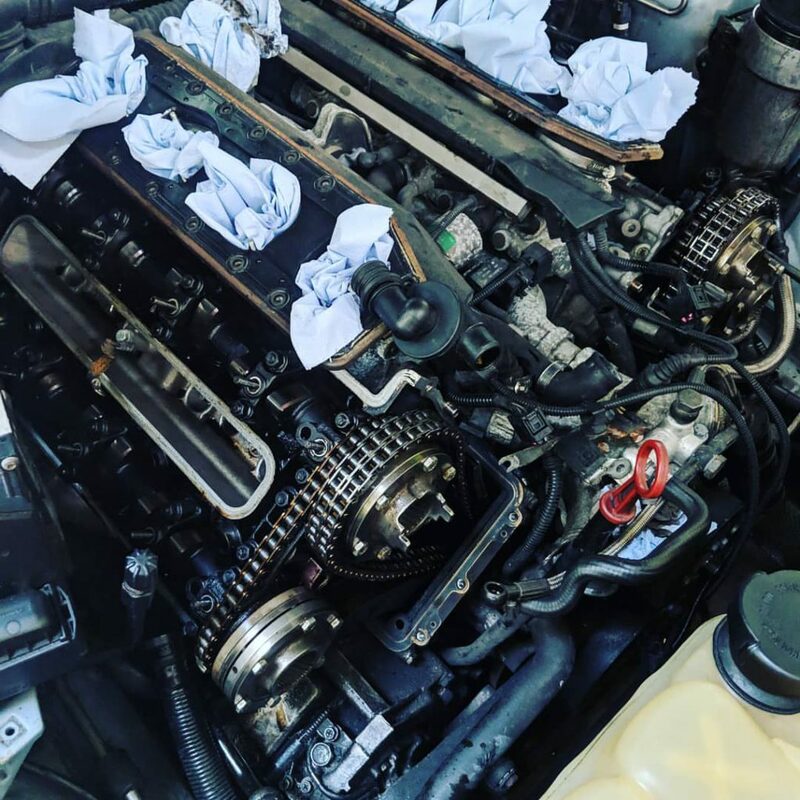 In the case of Nathan’s car, this was also necessary to replace the secondary timing chains and tensioners, the latter of which had almost completely given up Bank 2. 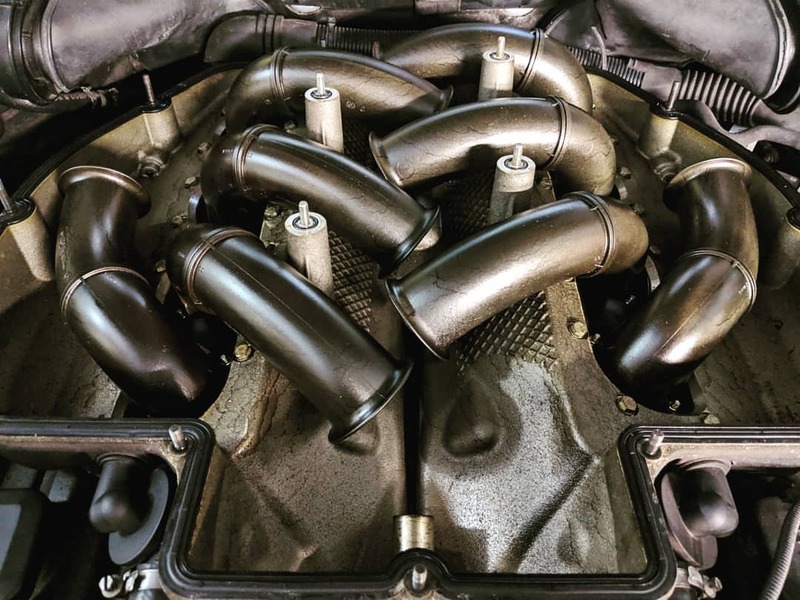 As is usual for us, the Vanos units were completely overhauled with Beisan Systems parts – BS061 and BS062. 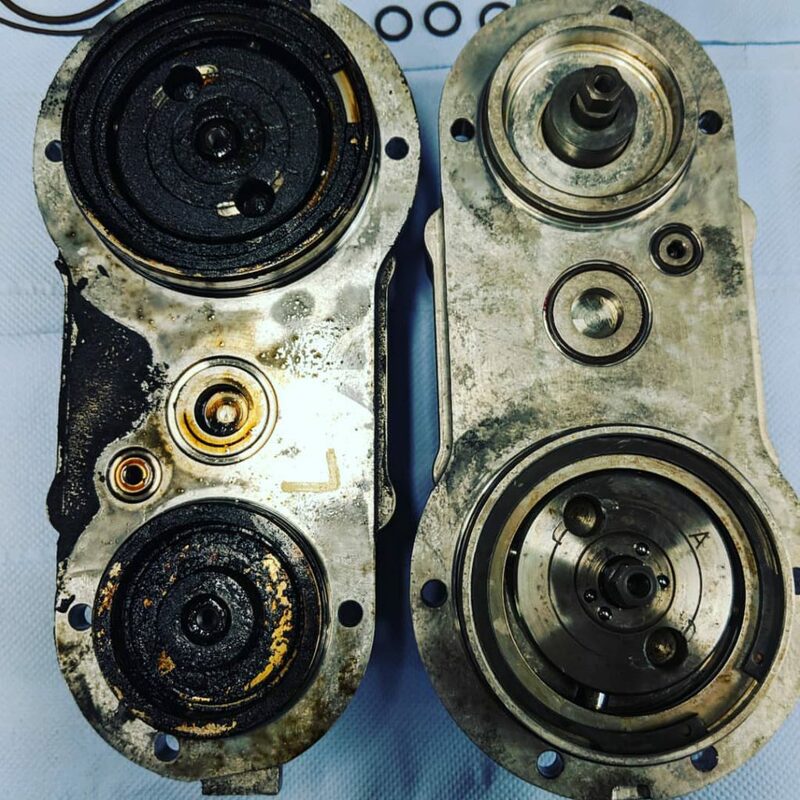 Excessive oil sludging had taken its toll on these units, with extensive ultrasonic cleaning used to get them into tip top condition. To finish them, fresh solenoid seals were fitted and the solenoids were also deep cleaned and tested. 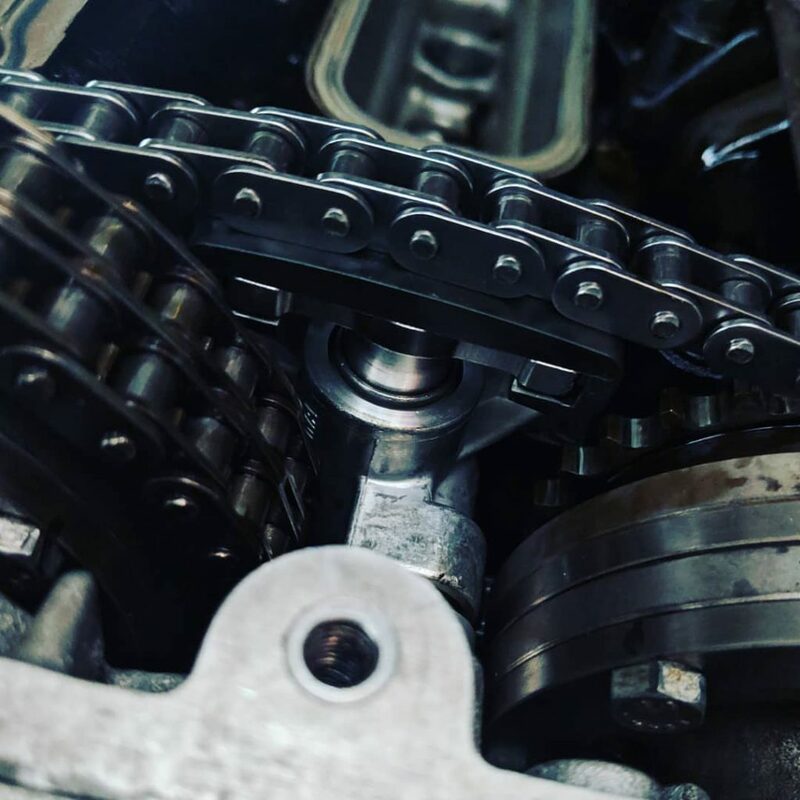 New secondary chains and tensioners fitted, and everything going back together. No stone is left unturned with these jobs, and so new gaskets are used throughout. 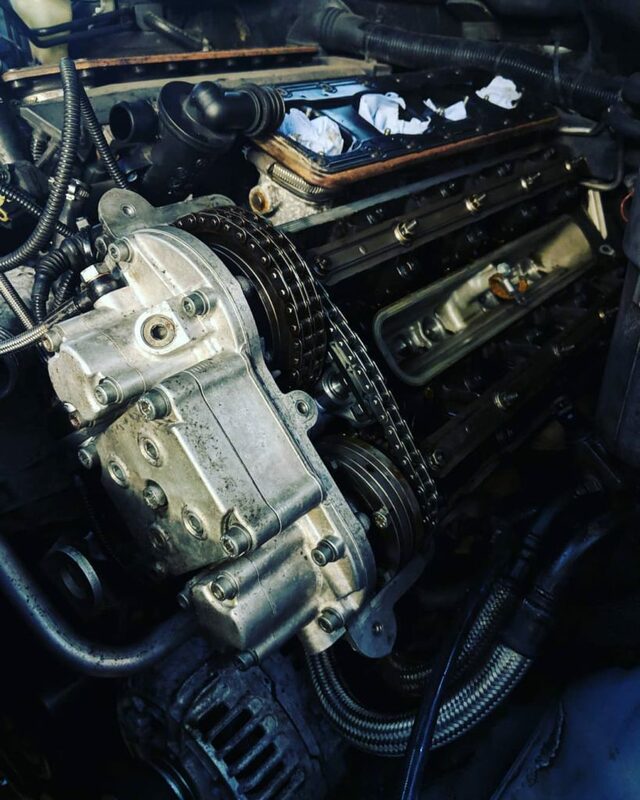 The issue of camshaft timing is no small one with these engines, with four variably-controlled cams to worry about. We’ve sadly seen it done wrong many times, but with the correct tooling and knowledge, Nathan’s engine was dialled in to perfection. As usual, we clean everything and fit it with new gaskets/seals. Job complete. Nathan also opted to have an oil service, some new power steering hoses and some other small repairs carried out at the same time. ‘The car is driving like a completely different animal now like I’ve never known it! Torque galore!’ Nathan reported. 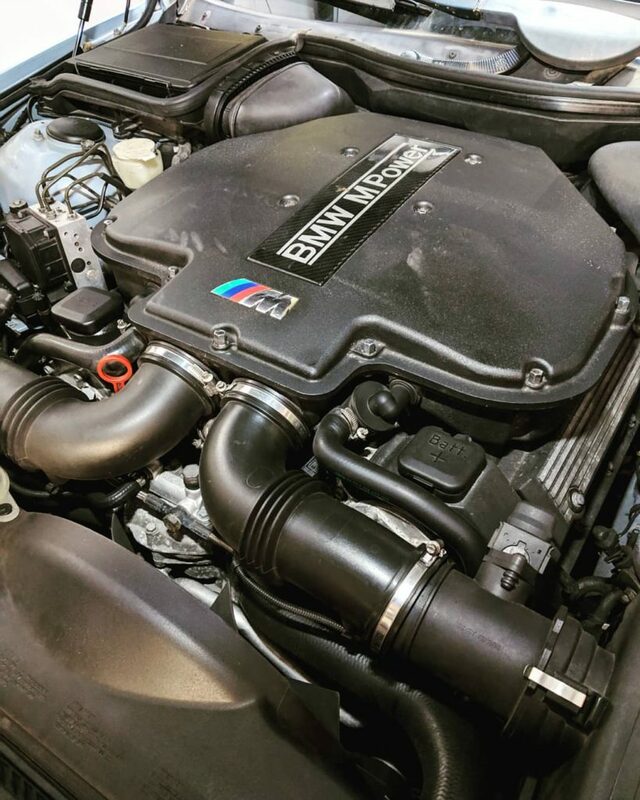 Another happy customer, and a pleasure to have one of these fantastic M5s in with us for work.